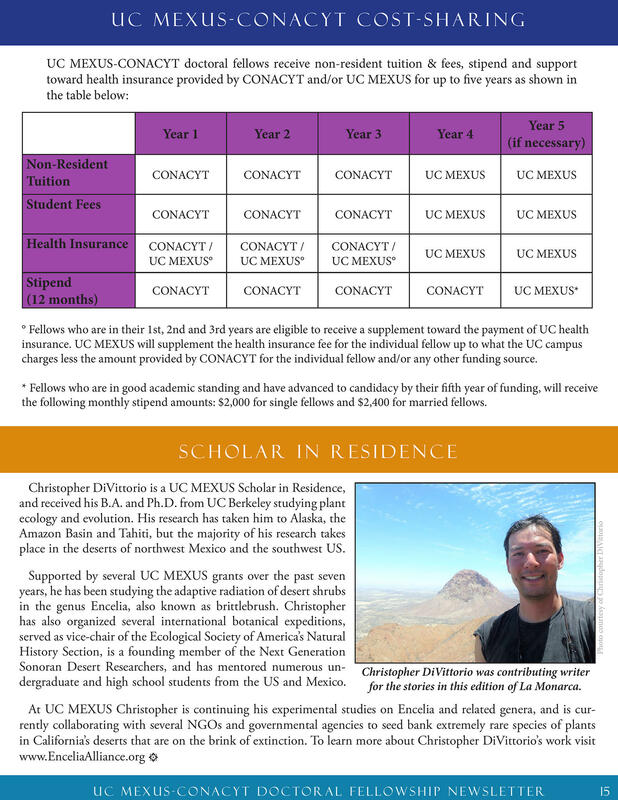 charges less the amount provided by CONACYT for the individual fellow and/or any other funding source. the following monthly stipend amounts: $2,000 for single fellows and $2,400 for married fellows. Sonoran Desert Researchers, and has mentored numerous undergraduate and high school students from the US and Mexico. place in the deserts of northwest Mexico and the southwest US. for the stories in this edition of La Monarca.